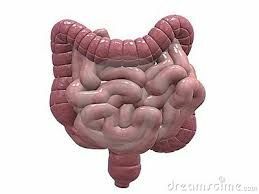 The key to our health starts with our gut. 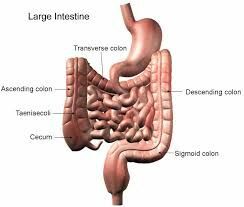 80% of our immune system lives in the intestinal lining of the large intestine. Without a functioning immune system, all the drugs in the world won’t heal you! Cultured and fermented foods have amazing health benefits, providing massive amounts of necessary bacteria for gut health. Cultured and fermented foods include cultured vegetables, milk and water kefir. These products provide abundant levels of B vitamins, vitamin K, amino acids, and a whole host of beneficial bacteria to balance intestinal flora and keep the ol’ digestive system good and clean. As a bonus, they also qualify as raw since they never heat up above 92°F. I have been making my own kefir (fermented water and fermented milk), kombucha (fermented black tea), and cultured vegetables (like sauerkraut) for a while. Recently I have introduced it into my dietary protocol recommendations for my patients and their owners. We have seen amazing benefits to both the pets (that are LOVING the milk kefir) and their human parents who are taking both the water kefir and milk. For those unfamiliar with probiotic foods like kefir, it is a microbial-rich food that has been used as a drink and a tonic for centuries in Eastern European countries and the Middle East. It has become extremely popular in the West too. Kefir is traditionally made with cow’s milk or goat’s milk. I use organic whole cows milk for my milk kefir and I use organic raw sugars with reverse osmosis water for the water kefir. I also do a second fermentation with organic strawberry and banana- so yum! 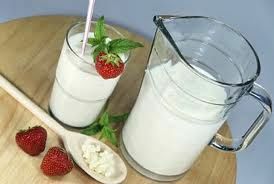 All kefir has a slightly tart and sour taste similar to yoghurt or cottage cheese, and is extremely beneficial to health. Kefir is loaded with good bacteria and essential vitamins, minerals, live enzymes, and amino acids. It also has natural antibiotic and anti-fungal properties, and helps to fight infection and disease. Kefir also helps to cleanse the endocrine system, flush out the liver, and clean and tone the colon. Kefir is a brilliant digestive aid. It helps to line the digestive tract with protective mucous, combats putrefactive bacteria, and helps to destroy parasites, thus reducing gas and bloating. It is just a magic food! But, please remember that kefir is extremely potent and powerful. A small amount a day is all you need. Kefir has a natural, gentle laxative effect and can really get things moving! Too much may have you paying homage to the toilet bowl! Sound like something you may want to learn to do at home? I teach classes on fermenting, culturing, juicing and dehydrating! I have everything you need to get started! Call 813-973-2929 for more information. The link below for this months Abby’s Health Magazine is all about gut health.